Your front door gives visitors an initial glimpse into your home and it’s interiors. Even though it is making a strong first impression and setting a tone, many homeowners overlook it’s importance. If your front door looks worn and unclean, people will assume your interiors are the same. Whether they are or not. 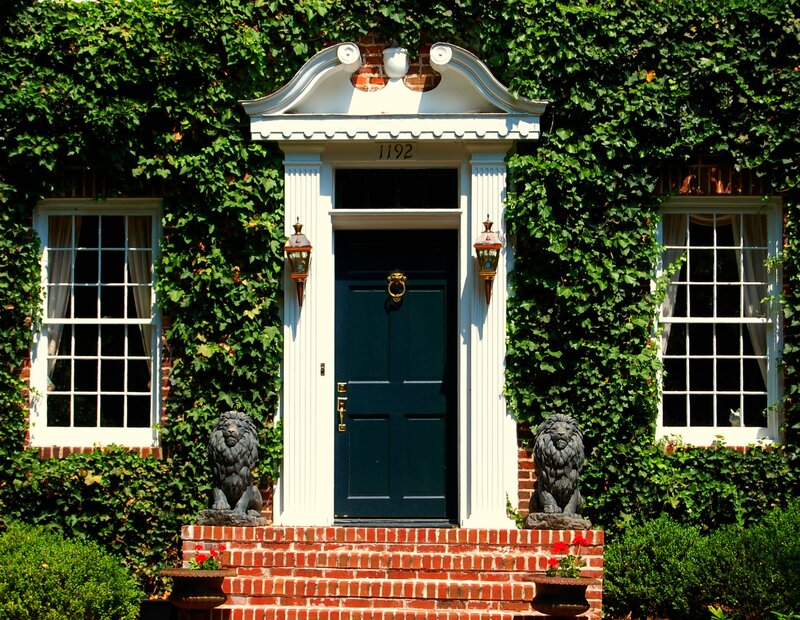 Whereas an inviting, attractive looking front door can be welcoming and give the impression of care and style. This can be particularly important if you’re trying to sell your home. If your front door is looking a little lackluster, there are things you can do to spruce it up. Take a look at these three ways to get started. Not only do broken or old doors look bad, they also put your home’s security at risk by allowing easy access to thieves. So it’s important to have it replaced as soon as possible. Take this opportunity to find a door that enlarges this vital entranceway. This will make the rest of your home look bigger and also adds value onto your home. Look at door suppliers such as Home Depot to see a range of different styles, sizes and materials. Designs with windows above and belong the door can also bring more natural light into your home. Have your door installed by a professional and see how much grander the front of your home looks. 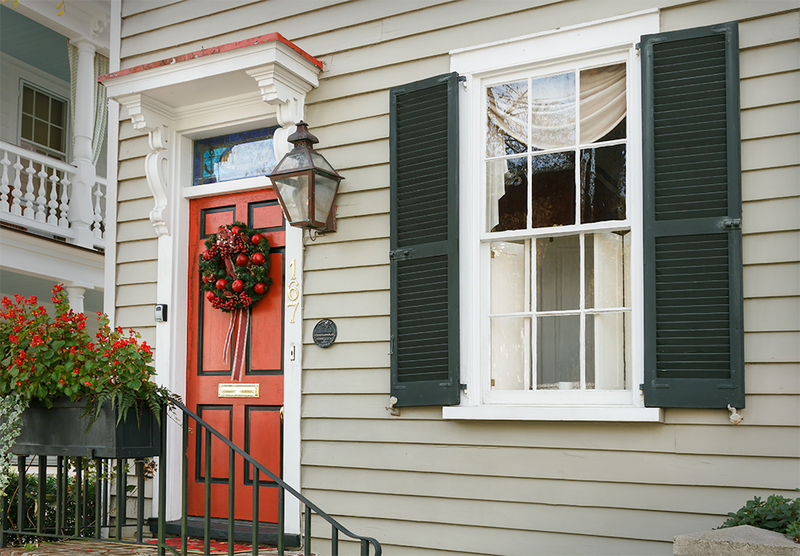 Whether you’ve replaced your front door or not, there are many ways you can add decorative touches. This will showcase your personal tastes while also making your door look chicer. A quick trick is to paint your door a new color. Look for 2016 interiors trends to find a suitable color that complements the rest of your exteriors. You could buy a hanging wreath from the Worcester Wreath Company to add color and texture to the door. You can also do this by replacing the knocker, handle and house numbers with something more decorative. Flowers are another fabulous decorative touch you could use. Buy planters or hanging baskets which you can position next to your front door and fill them with beautiful fresh flowers and plants. Lights can also help set a tone and create a certain mood while also adding practicality to your front door. If you have a porch, you could install a hanging light above your front door to highlight its design and color. Multiple spotlights in the floor can also create a dramatic effect and guide your guests to your home. Most people opt for wall sconces as they come in a variety of designs and look good alone or in pairs. Visit Destination Lighting or other outdoor lighting retailers to find lights that perfectly suit. Making these changes to your front door can make your entire home look more appealing. It can also add value, style and functionality, which your exterior might be currently lacking. Stay on top of it’s upkeep to keep it looking fabulous all day every day.